Rotterdam lies 23 kilometres south-east of The Hague and 52 kilometres south-west of Utrecht. Crooswijk is a district east of the centre of the city. 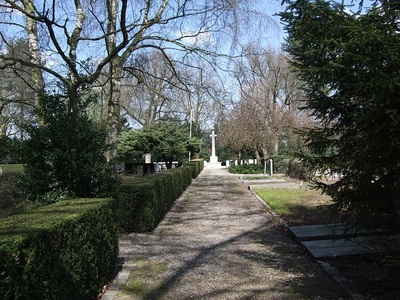 The address of the cemetery is Algemene Begraafplaats, Kerkhoflaan 5, Rotterdam. Please note that this cemetery closes at 16.00. 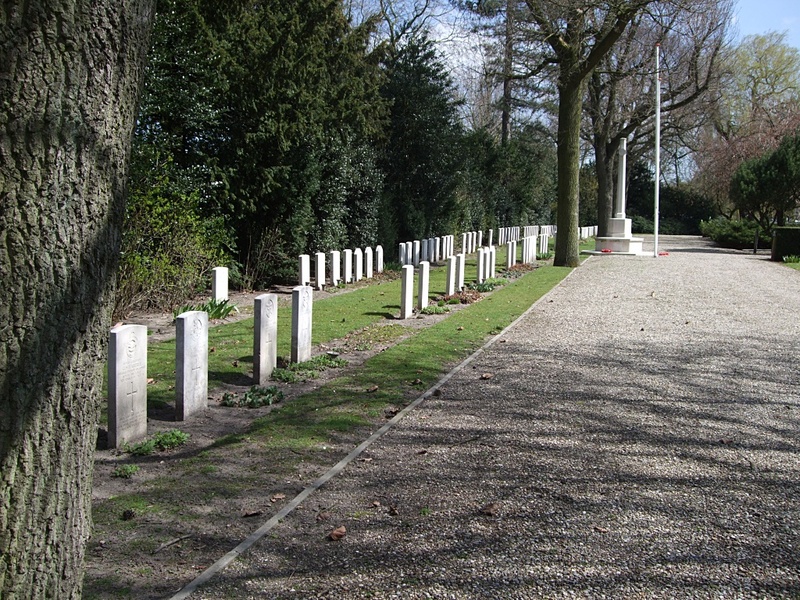 In May 1941, the local civil authorities set aside for Allied war casualties a plot in the immediate vicinity of the Dutch war graves. A number of British airmen were moved to this plot from other parts of the cemetery and from scattered graves in the surrounding countryside; and subsequent Allied casualties were buried there. These graves were constantly tended and provided with flowers by the people of Rotterdam, in contrast to the German graves which were ignored. 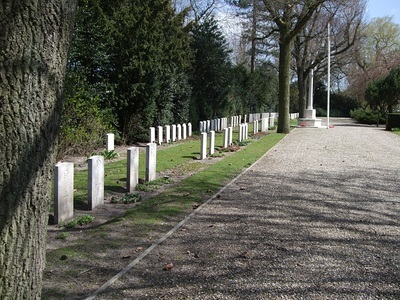 The enraged Germans therefore caused them to be removed, in May 1943, to the remotest corner of the cemetery. They were fenced off by wooden hurdles, and even for a short time guarded by an armed sentry to keep away visitors. 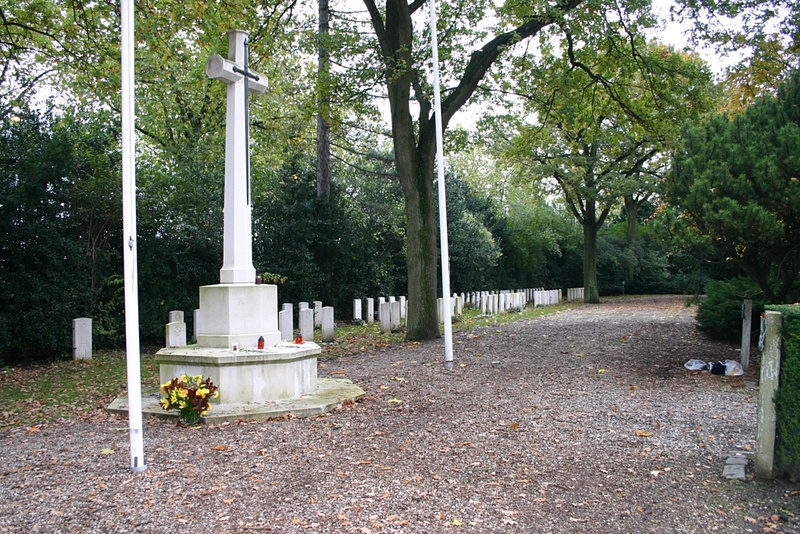 There is 1 Commonwealth burial of the 1914-1918 war and a further 124 Commonwealth burials of the 1939-1945 war, 5 of which are unidentified. 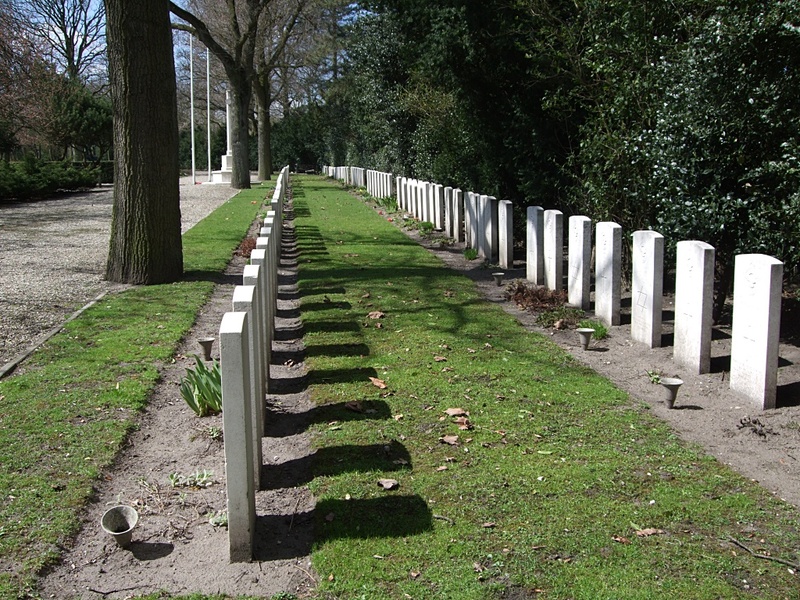 There are 11 Polish burials. Lieutenant-Commander Ernest James Cuddy, Royal Navy, 4th (Collingwood) Bn. R.N. Div., died 5th December 1917 aged 30. Burial Plot M 176. Son of the late Capt. James Cuddy (R.N. ); husband of Muriel Cuddy, of Portland Terrace, Southsea, Hants.